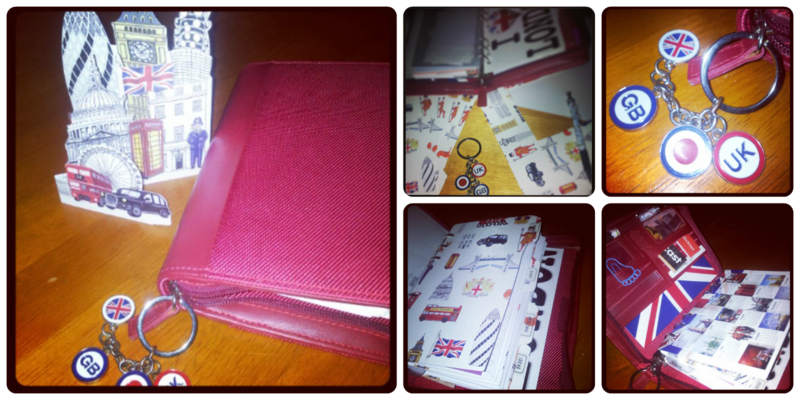 I am a bit obsessed by London, Union Jacks and my Filofax - that goes without saying. You only have to take a look at two of my Pinterest boards to see what I'm on about. Follow Typecast's board London Calling on Pinterest. If you follow me on Twitter (@nickieohara) you will have seen me tweeting about my yearning for a London Vintage binder from Paperchase. And then I remembered that I had a bright red Filofax, a few postcards from London hidden away somewhere, some London-themed card, a London Underground pen and an souvenir keyring that I could use as a zipper charm so I set about adapting and customising what I was already using. Here are the results - and if you want to see it in more detail you can have a look at this mini video I made.